Nicola, my partner in crime, has taken the plunge, jacked her job, for the thrill of a better & less conforming life! Well done Nicola. She's recently been on a Nordic Walking Instructors course & will be holding regular classes soon. Today we snuck out the back door for some Nordic Walking action to Red Tarn, Helvellyn. Its using poles without skis to propel yourself forwards at a basic level. It allows the use of 90 to 95% of your muscles in your body. It ups your heart rate drastically in comparison to normal or speed walking & it tones the body amazingly well. The idea behind it is to be able to train at a lower rate of impact, whilst achieving a far greater heart rate & blood flow, thereby increasing fitness, muscle tone & it corrects your posture to, as Nordic Walking is great for the posture.Its something we all need to work on. It can be used as a rehab exercise, a pre-hab exercise or a complimentary routine to go alongside how you already train. Be under no illusions, Nordic Walking does have amazing benefits, you just might feel like a bit of a divi when you first start out. Many people use it for many different things. Runners with injury might use it for training when they can't run. People who are unfit might use it to gain fitness in an easier way. Its certainly less daunting to go out with poles if your carrying a little too much weight, than don your running clothing and head out for a jog. You can use it to correct bad posture, you can use it to just up your fitness level. Anyway you use Nordic Walking, it will benefit you. Some skiers have used it to train throughout the summer months, to get fit for the winter season. Nic & I decided we need to get out & chose a pretty vicious day to do it. 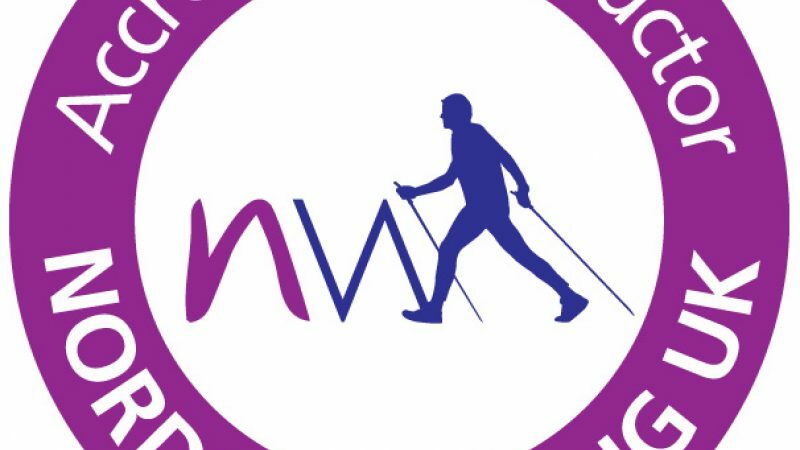 It helped me to understand at a greater level, how to train someone in Nordic Walking, it helped Nic to practice her newly learnt skill & get some upper bodily work out, in preparation for the on-coming winter & snow. It is all money in the bank when we both are getting ready to pass our NW Instructor assessments. Nic also sufers a bad back, we've still not got to the bottom of why this is happening, but firmly believe, and we're not alone here, that the postural benefits, alongside the muscle toning effects of Nordic Walking, will help to eliminate this annoying problem. 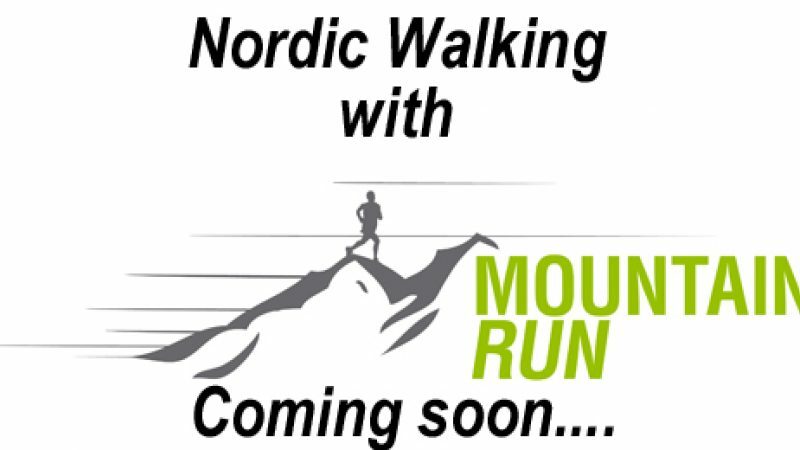 Some people find it hard to run & natural running, one of the things we teach at MountainRun can really help, but sometimes you need a complimentary regime to go alongside what your already doing & Nordic Walking is just one of those things. Walking along the flat with poles is all well & goodl, but taking it to the mountains is a different kettle of fish. Mountains have paths, ascents & descents, on these paths there are often rocks, making the ground inherently unstable for placing poles, so its much more technical that just walking along the flat. 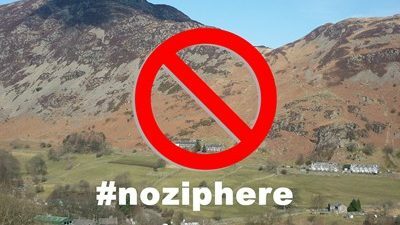 Uphills create a problem of how to use the poles & so do the downhills, plus making the strike with the pole is harder on changeable surfaces. Best to get it wired on the flat, before heading out in to the hills. We headed up to Red Tarn, checked out how much snow had been stripped from the other days snow fall, got severely blasted by hail/spring snow/grauple (what ever you like to call it) & then headed back down to Greenside. Its a great round, not to severe & yet your fully in the mountains. Nicola practiced her up & downhill technique & is psyched to be taking her NW Instructors assessment in the New Year. Look out for Nordic Walking classes in Spring 2015.